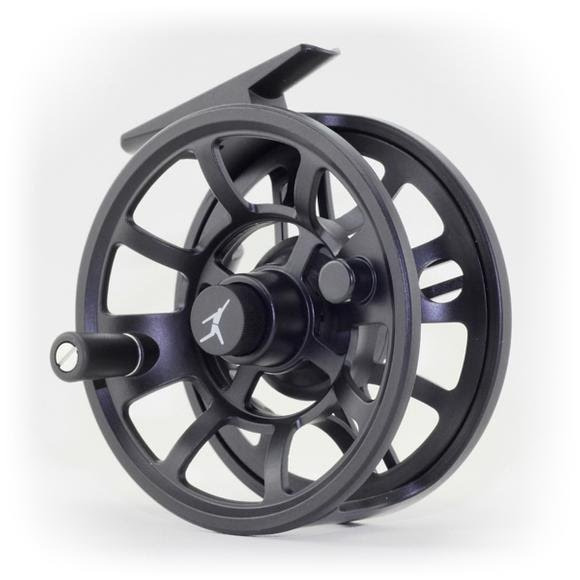 Echo's Ion Reels utilize a hybrid design, cast aluminum and then machined to provide the benefits of a machined bar stock reel without the high price associated with 'fully' machined reels. All ECHO die cast reels are collated with an impact resistant matte black finish to provide the best looking, long lasting finish. Echo&apos;s Ion Reels utilize a hybrid design, cast aluminum and then machined to provide the benefits of a machined bar stock reel without the high price associated with &apos;fully&apos; machined reels. All ECHO die cast reels are collated with an impact resistant matte black finish to provide the best looking, long lasting finish. Four sizes to fit any rod, starting with the 4/5 and the 6/7 for smaller rod applications and finishing with the 8/10 and 10/12 that will hold the largest single hand or two-handed lines with plenty of backing. ECHO ION reels have stainless steel internal components and are primarily designed for fresh water use. They can be used in the salt providing extra care is taken to clean and lubricate them after each day on the water.